Have students review key concepts from Louisiana history though an interactive and cooperative review. 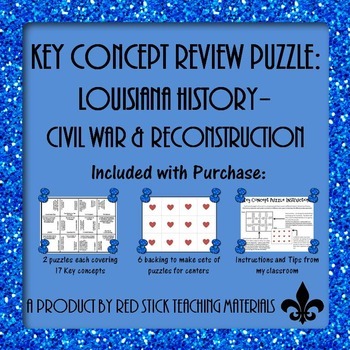 This set of 2 Key Concept Puzzles focus on the Civil War and Reconstruction in Louisiana. These puzzles were specifically designed for Louisiana History Classes.